Your mouth starts watering. You swallow hard. Your stomach rears back and lets out a growl. In Texas, everyone loves BBQ. BBQ is a long-standing, classic Texan tradition. Barbecue refers to the process of hot-smoking meat cooked looow and slooow. Prepared and cooked properly, BBQ meats taste great and are so tender they will melt in your mouth. There are many BBQ restaurants, but none compare to Dickey’s Barbeque Pit. Over the years, Dickey’s has become the nation’s largest BBQ chain. 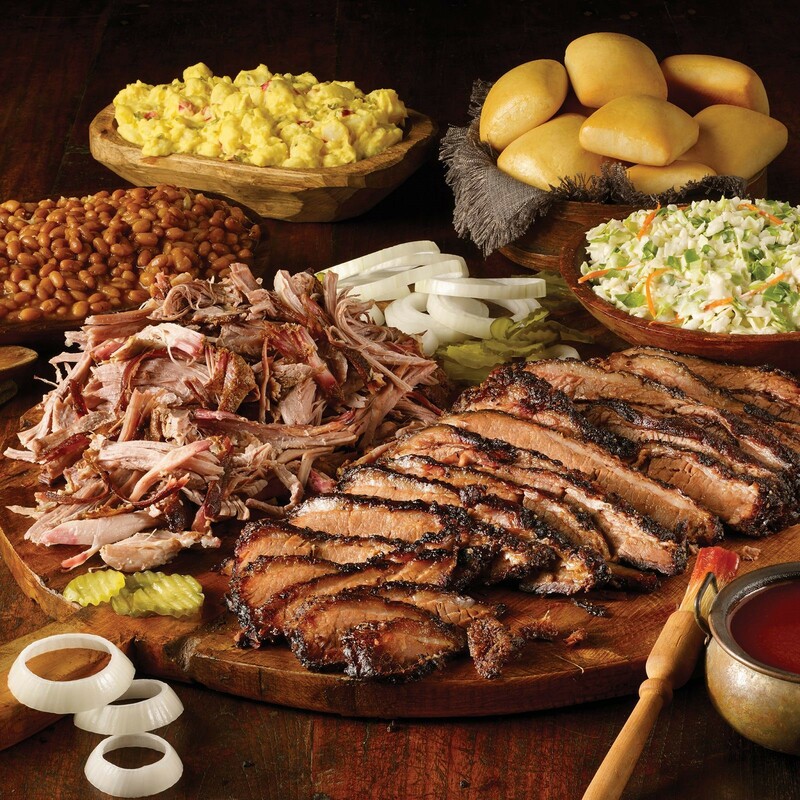 In fact, did you know that Dickey’s BBQ Pit motto is “We Speak BBQ”? Let’s learn how Dickey’s, a family-owned chain, was established and where they are today. Brief Background - Dickey's Barbecue Pit was opened in 1941 in Dallas, Texas by Travis Dickey, a World War II veteran. Dickey’s was born out of Travis’ innate gift of gab and his love of authentic, slow-smoked barbecue. Travis established a reputation for offering his patrons quality barbeque meats, which were smoked onsite, along with homestyle recipes. Dickey’s was truly a family operation with Travis working side-by-side with his wife, Miss Ollie. In 1967, Travis’s sons, Roland and T.D. Dickey, took over the business. The brothers were able to expand their business in the Dallas Fort Worth area and ultimately, as their popularity grew, throughout the state of Texas. Franchising began in 1994, as the demand for more locations became evident. Today the business and has expanded to 600 franchise locations in 43 states and continues to enjoy the patronage of loyal customers. Signature menu items include beef brisket pulled pork, St. Louis style ribs, polish sausage, spicy cheddar sausage, smoked turkey, and marinated chicken with a variety of homestyle sides. Complimentary rolls and ice cream are included with each meal, and children eat free on Sundays. Check out Dickey’s Olympia, WA location here: Dickey Barbeque Pit wiki. Meet the Gentleman in Charge - Roland Dickey, Jr., grandson of Travis Dickey, joined the family business in 1999. He became the Chief Executive Officer of Dickey’s Capital Group (parent company) in 2006. Due to Roland’s extensive experience in the restaurant business, he is credited with expanding this third-generation family business to a worldwide brand with multiple locations nationwide. Dickey’s won first place on Fast Casual’s “Top 100 Movers and Shakers” list and in 2018 Dickey’s Barbecue Pit made the Top 10. 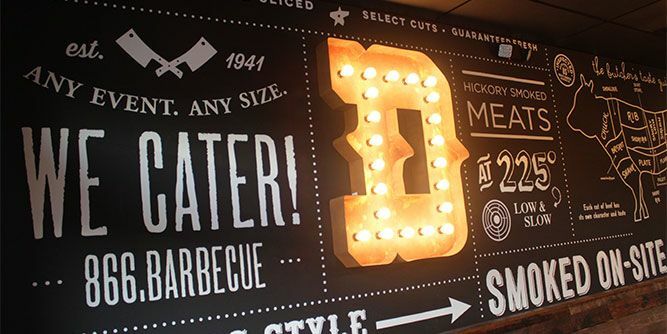 Dickey’s Barbecue Pit has also been recognized by Entrepreneur Magazine, Franchise Times and Nation’s Restaurant News. Meet the Team - Dickey’s hard-working executive team is an important function of the business, and continues to be a primary factor in the company’s continued success. As a way to “give back” to the communities they serve, Dickey’s founded a charitable organization called "Boots & Badges”. 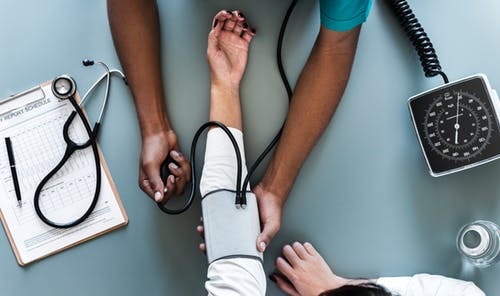 Under the direction of Maurine Dickey, Founder, and Nathan Wheeler, Executive Director, the organization provides support to first responders and their families in circumstances of illness or injury. Dickey’s has always held the long-standing belief that, “as a business, you should do both well and good”. Dickey’s team of strategists, designers, managers and developers work together to offer the art of great barbecue to all! Meet Roland Dickey Jr age & the team. Dickey’s Toys for Tots Drive - Philanthropic endeavors enhance employee engagement, morale, and teamwork within the corporate environment. During this Holiday Season, Dickey’s is the place to grab a delicious BBQ meal and help a child in need. This year, the Dickey Foundation has partnered with Toys for Tots to give back to the children of military communities nationwide. Laura Rea Dickey, CEO of Dickey’s Barbecue Restaurants, Inc., and spokesperson, made the following request: “During this time, we ask our guests to bring toys into their local Dickey’s Barbecue Pit or give a monetary donation to Toys for Tots and the Dickey Foundation, benefitting first responders.” Donated toys will be accepted from now until the end of December from guests at Dickey’s Barbecue Restaurants to benefit children in their local communities.